Mohammed V International Airport, situated in Casablanca, is a gateway to the breath-taking Moroccan city. The airport is operated by ONDA (National Airports Office). Morocco V International Airport is named after King Mohammed V of Morocco. It is the 4th-busiest airport in Africa. Mohammed V International Airport (IATA code: CMN) is the busiest airport in Morocco and the hub for Air Arabia Maroc and Royal Air Maroc. Flights to Mohammed V International Airport are provided by international airlines such as Emirates, Qatar Airways and Turkish Airlines. IAN is a 44-minute drive from the city centre of Casablanca. Book your cheap flights to and from Mohammed V International Airport online! Mohammed V International Airport was originally built by the United States in 1943 and was named Berrechid Airfield. The airport is also referred to as Nouaceur, which is the name of the province it is in. With 8 million people passing through the airport each year, it is the busiest airport in Morocco. IAN serves more than 30 airlines, flying to nearly 100 destinations. There are two terminals located in Mohammed V International Airport including Terminal 1 and Terminal 2. Mohammed V International Airport has incredible food and drink options available at the various restaurants, cafés and bars. Travellers can uncover the incredible shopping mall at Mohammed V International Airport, where you can embrace a world of duty-free shopping. Get all your shopping requirements satisfied with many items, including gifts, clothing, pharmaceuticals and luggage. Mohammed V International Airport has a VIP Lounge. All travellers can apply for membership. Individuals can pay for access to the VIP service. The airport has a wide range of facilities, including a post office, medical care, banks, tourist help desk and a business centre. This comfortable 4-star Atlas Sky Airport Hotel has welcomed guests since 2013. It is an 8-minute drive from Mohammed V International Airport. Amenities include parking, a spa, swimming pool and free Wi-Fi. This 3-star hotel is ideal for business and leisure. It is a 20-minute drive from Mohammed V International Airport. Amenities include free Wi-Fi, parking, a restaurant and bar, and gift shops. This exquisite airport offers sensational accommodation. It is an 8-minute drive from Mohammed V International Airport. Amenities include free Wi-Fi and parking, an airport shuttle, indoor pool as well as a restaurant and bar. Foreign exchange can be purchased 60 days before departing South Africa. There are foreign exchange outlets located at Mohammed V International Airport. Mohammed V International Airport has long and short-term parking available at the airport. Parking can be located in front of Terminal 1 and 2. Mohammed V International Airport is located 30 km south-east of Casablanca’s city centre. 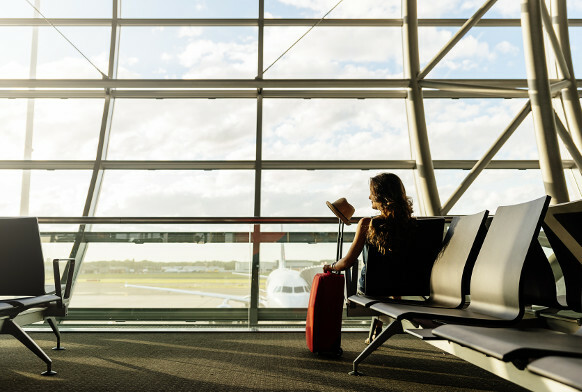 Metered taxis, buses, trains, Uber and car hire options are available to transport you from the airport to your destination.